IRVINE, Calif. – As her teammates celebrated all around her, Chicago Mission goaltender Sam Steciak embraced head coach Erin Rourke. 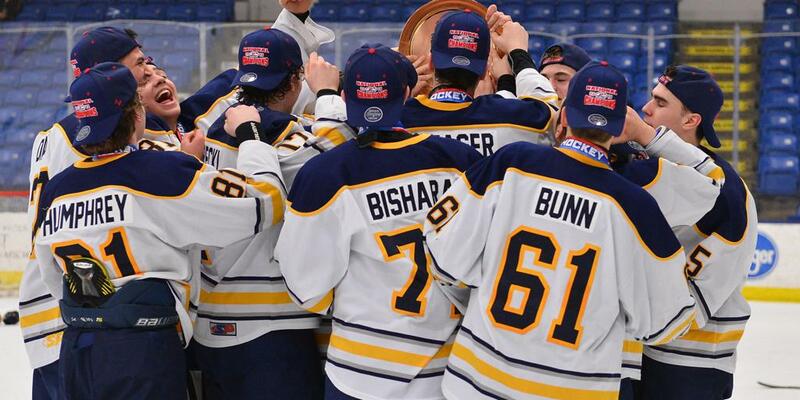 It was a fitting moment after the effort Steciak put into backstopping her team to its second straight 16U title at the 2019 Chipotle-USA Hockey Girls Tier I National Championships. “I just thanked her and told her ‘you just won that game, kiddo,’” Rourke said of her goaltender’s 13-save performance against an offensively gifted Rochester Youth Hockey club. Steciak was also in goal in last year’s title game against this same Rochester squad. But as the old saying goes, it’s better to be lucky than good. Or in the case of the Chicago Mission, it’s better to be both. The luck came with six minutes remaining in the first period when Ashley Bialas’ dump in took a funny hop off the end boards and rolled off of the skates of Rochester goalie Bailey Callaway and into the net. The Mission added to that lead in the second period as Anya Weilandt teamed up with Alex Thomas for her second goal of the tournament. After that the Mission went into full lockdown mode, keeping the high-flying Rochester girls from getting on track. When they were able to muster a shot, Steciak was there to stop it, just as she was in last year’s title game against this same Rochester squad. 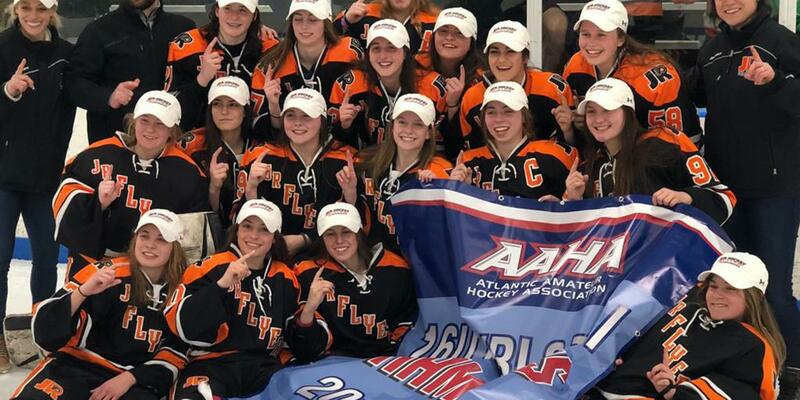 After winning their first Girls Tier I 16U national championship last year, the Mission knew everyone would be gunning for them this season. Rourke knew she had to have her troops mentally and physically ready to take on every challenge if they were going to have any chance of repeating. “We had a target on our back for most of the year and this team rose to meet that challenge and really enjoyed that,” Rourke said. Along the way the Mission showed that there’s more than one way to win a championship. Last year’s squad featured U.S. Women’s Under-18 National Team player Abbey Murphy and played a more wide-open style of game. This year’s team has found another way of winning. Each of their games here this week have been one-goal games where the winning formula involved equal parts timing scoring, stifling defense and great goaltenders who came up with the big save at the right time. “Last year we were a really talented team and this year’s team is more of a blue-collar crew. They’re just such hard workers,” Rourke said.